Home » General News » Our flag has risen. 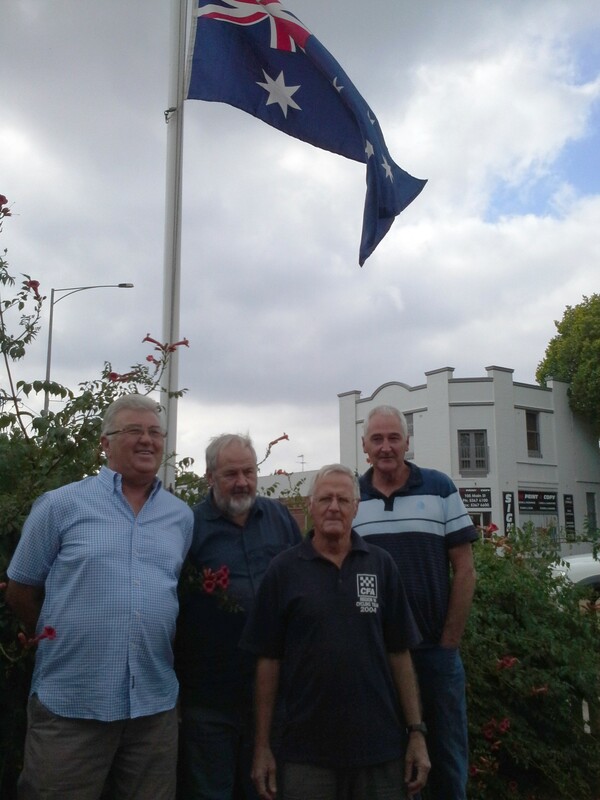 Australia Day -Tuesday, 26 January 2016 – the flag was raised. Our small ceremony was possible only through the endeavors of Alan Turner, our expert wood turner, together with the digging out and securing of the sleeve by Russ and Tony, and Geoff was our flag raiser on the day. Thank you to everyone who attended and shared the emotion. Thank you to those who made our 2016 Australia Day possible. Alan with Tony, Geoff and Russ.